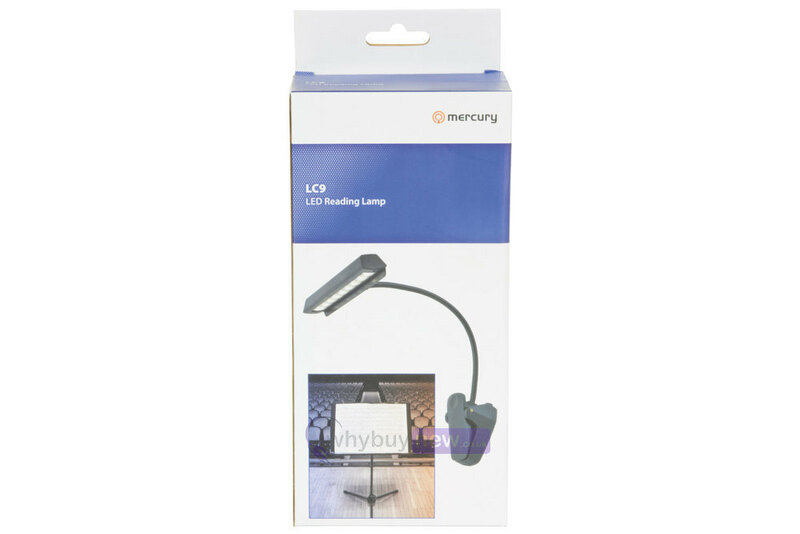 This Mercury LC9 LED Reading Lamp is ideal for reading sheet music and features a base clamp to attach it to your stand. 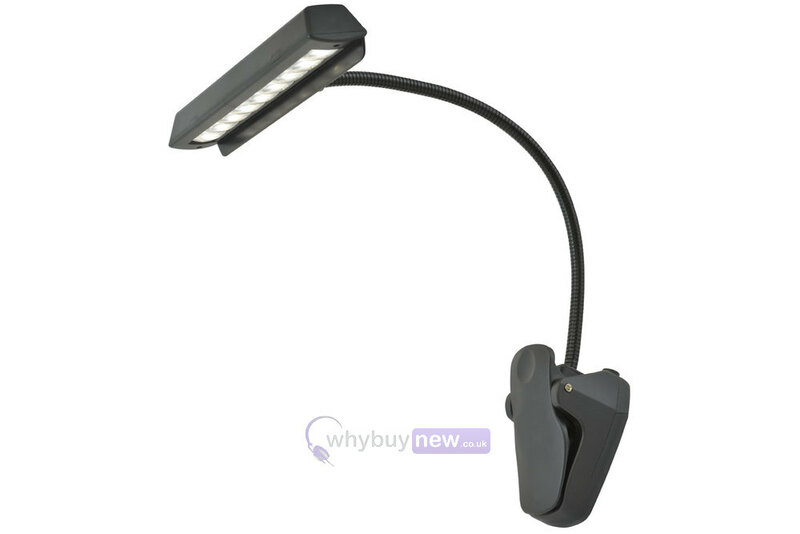 It also has a gooseneck for easy adjustable light positioning. 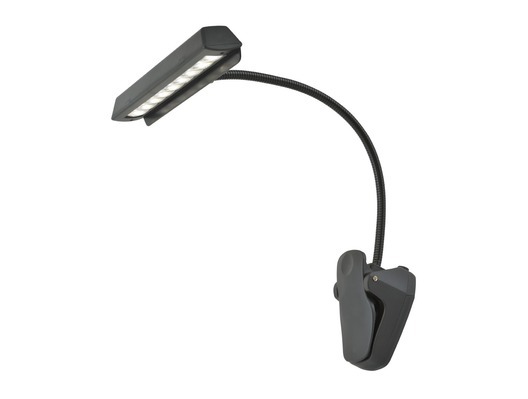 The strip light has 9 LEDs and 2 brightness settings. 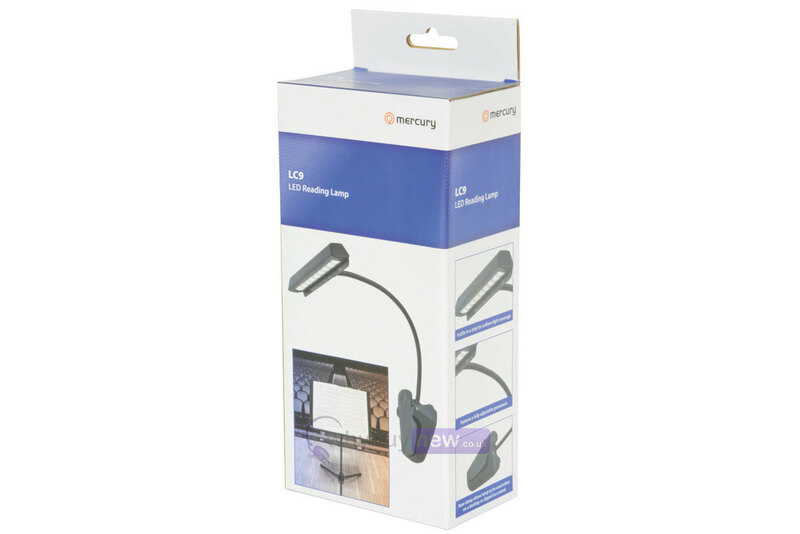 The lamp is powered via USB or 3 x AA batteries (included).